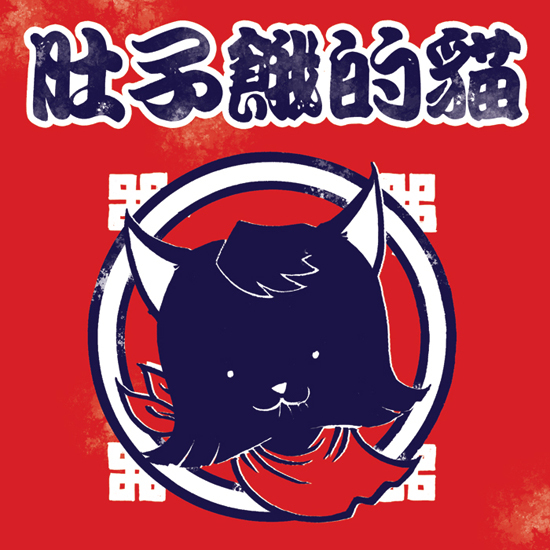 THE CAT IS HUNGRY aka "肚子餓的貓"
Pre-orders start on Friday the 11th of March. Pre-orders end on Friday the 29th of April. Book released in mid May (set for Monday 16th of May). Pre-orders start shipping the next day (set to Tuesday 17th of May). 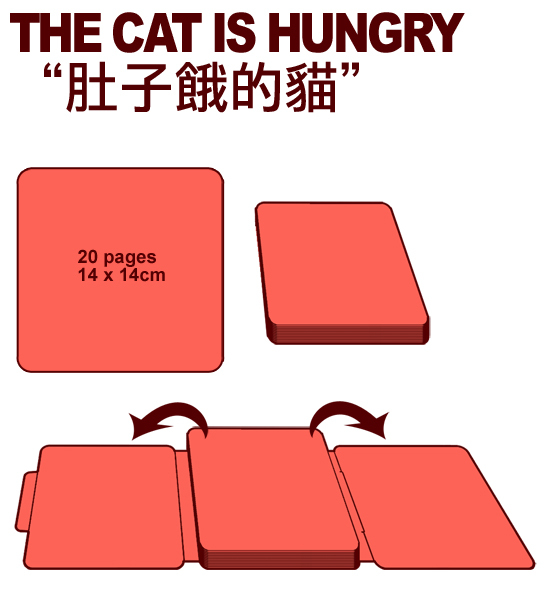 -1 book THE CAT IS HUNGRY aka "肚子餓的貓"
+One 14x14cm original hungry cat full colour painting with your choice of food. 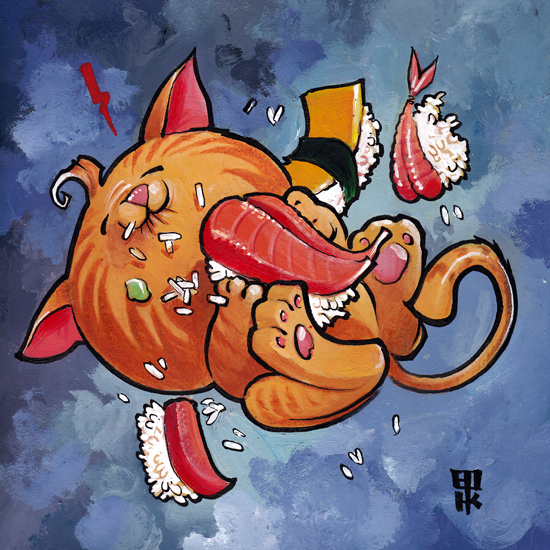 Because of the quick turnaround needed to make this book fit in our already packed schedule, pre-orders for this project will be available for a much shorter time than usual. However, it also means that it will be released sooner too. Our dates are fixed and already booked with the printer. All we hope now is that you are as excited to participate and support this great new project as much as we are.